If you are accused of a crime, you are entitled to be released on bond unless you are charged with certain extremely serious offenses. For charges of retail fraud, domestic violence, OWI (operating while intoxicated) and other felony and misdemeanor offenses, you must be given a reasonable bail. The District Court in Rochester Hills, Michigan is known to be one of the toughest courts in Oakland County and in Michigan. Although a tough court can be a good thing for a community, courts that go too far in incarcerating people and prosecuting bond violations are not good for anyone and only cause needless pain and expense to defendants. Unfortunately, some judges in Rochester are widely known for violating defendants for technical bond violations and giving little care to uncorroborated and unreliable positive drug test results. In fact, it is not unusual for bonds in Rochester to be so onerous and complicated that few people would be able to stay in compliance. The District Court is located at 700 Barclay Cir, Rochester Hills, MI 48307 and the three judges are Julie A. Nicholson, Nancy T. Carniak, and Lisa L. Asadoorian. The court has jurisdiction over all misdemeanor cases and the initial proceedings in all felony cases. There are two things that can happen if a defendant is found guilty of a bond violation in the 52-3 District Court. First, bond can be raised or revoked by the judge forcing the defendant to sit in jail, unable to work or participate in his or her defense, while the case is pending in court. Secondly, a defendant could be charged with contempt of court which is essentially a new misdemeanor criminal charge that can result in additional jail time. If a defendant is charged with a felony and bond is raised or revoked, the defendant could needlessly and unfairly spend months in jail waiting for the charges to be resolved. A defendant in a felony case is entitled to a personal recognizance bond if he or she has been incarcerated for 180 days. The rule requires personal bond for an incarcerated defendant after 28 days in the case of a misdemeanor. There are exceptions to these rules and an experienced lawyer can further explain the technical nuances that may apply to your case. What happens if there is a bond violation? If you receive a notice of a bond violation, you and your lawyer must take it very seriously. Even for the most technical and seemingly insignificant alleged bond violation, jail time is frequently imposed. Lawyers not familiar with this district court often underestimate how significant these allegations can be. If you have a lawyer who you trust, you will need to prepare to defend against the allegations with that attorney. 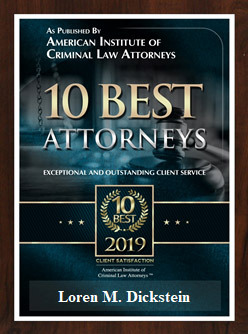 If you are in need of a great criminal defense lawyer who will fearlessly and effectively fight for you, the team of defense lawyers with LEWIS & DICKSTEIN, P.L.L.C. 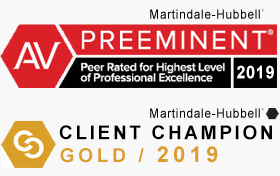 have decades of experience winning in Rochester Hills. In those cases where the defendant violated bond, a strong and persuasive argument will have to be made to keep him or her out on bond. If you are charged with a crime in the Rochester Hills District Court, you need the best lawyers Oakland County has to offer. The best defense against overzealous prosecutors and tough judges is an even tougher defense attorney. A strong defense is not just aggressive, it is also smart, creative, credible, and intelligent. When it comes to defending clients, the lawyers with LEWIS & DICKSTEIN, P.L.L.C. will do whatever it takes to get the best possible result and they have an unparalleled track record of success. Call us today at (248) 263-6800 for a free consultation or complete a Request for Assistance Form and we will promptly contact you.